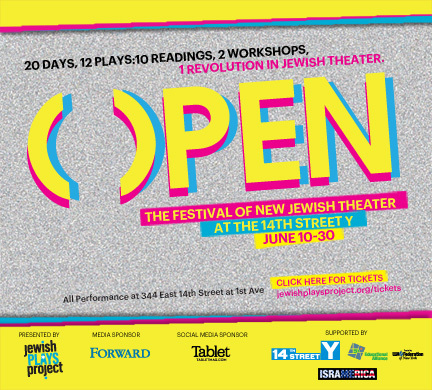 The 14th Street Y is proud to host OPEN, A Festival of New Jewish Theater, in our Theater this month. The Jewish Plays Project will be presenting readings and workshops that demonstrate what Jewish theater should look like: exciting and heartfelt, progressive and connected, cutting-edge and haimish all at the same time. And after each performance, join the writer, director and cast at a nearby watering hole to discuss the play, the ideas, and the future of this great art form. I’m interested in writing about ethics outside of a philosophical context I like to pose a question I’m confident I already know the answer to and then allow time and experience to clash against it. This play explores a moral crisis in the Kessler family as they cope with a dying loved one that continues to hang on far longer than anyone anticipated. Once our faculties are taken away from us and we can no longer speak for ourselves — who becomes the authority of our life? Euthanasia is illegal in America and though I’m a strong advocate of honoring the wishes of the dying, I would never want to be the representative to make that kind of a call. This play follows a character that takes matters into his own hands and has to live with the consequences. How do you feel the work reflects the Jewish experience for your generation? I come from a fairly secular family. We attend a Reconstructionist temple on high-holidays. We are Jewish by blood yet have no regular practice…and I think that’s a common experience. How does one hold firmly to the roots of their religion when so much modern life contradicts it? In many ways, I feel that’s the current Jewish dilemma. Religion today is often replaced by the cult of ones’ profession, the ritual of ones’ vocation (such as the theater for instance) or a devout faith in empirical science. What’s often absent is the interplay between the two. I hope my audience identifies with a character struggling to understand his own moral code in relation to his faith. Judaism is a source of comfort for me, and that’s exactly what my character turns to in his moment of darkness. How can Y members learn more about your work? 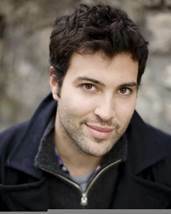 Follow me on twitter @jonthecaren or go to my website www.jonathancaren.com The New York premiere of my play THE RECOMMENDATION opens on August 25th at The Flea Theater. Please come! Interested in reserving a FREE seat to see a great play? Nili’s (Our amazing preschool teacher) workouts have been led by our equally amazing Personal trainer Glenna. As the preschool year is coming to a close, I asked Glenna what 3 exercises she recommends that everyone can incorperate into their workouts. 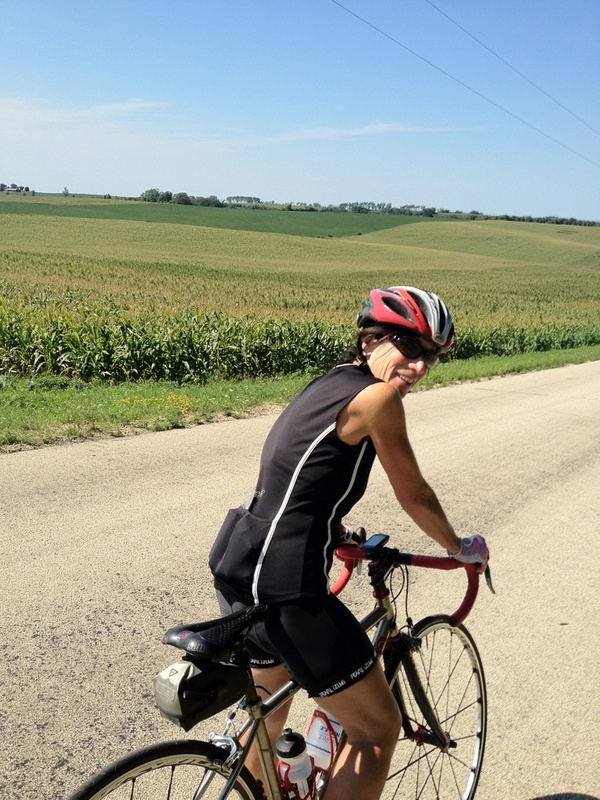 Here below are Glenna’s top 3! 1. Some sort of “pull up type/like” exercise. This could be an assisted pull up using the super band or a body weight row using the TRX or Maxrack bar or, yes, an actual pull up. 2. Some kind of squat or lunge exercise-there are too many examples to name here but to name a few: goblet squats, sit down stand up, back squats and walking lunges. 3. Finally, most everyone could benefit from doing a “stick up” or “T-stand” against a wall as follows: lean with your back to the wall raise the arms to shoulder height and bend the elbow up at 90 degrees with palms facing out. Like a stick up. Press every part of the arm and hand against the wall, wrists, fingers, everything and hold for 30 seconds check for parts that are coming off the wall. Lifting the hips off the wall will make this more moderate. Today is the last day of preschool! We will miss all of our wonderful teachers and students, and look forward to fall 2014! Have a great summer everyone!